The Indian Dance Society of Gargi College- Nazaakat justifies this quote. This society is blessed with amazing versatile dancers. Every single member is an invaluable asset to this team. None of their achievements would have been possible if even one member was not present. Each one of the members have put their heart and soul to build the society through the years, stumbling and floundering through mistakes and blunders and bring the society into a level which not only Delhi University recognizes and appreciates but also various other universities, IIT Kanpur, NIIT University, IIT Bombay are just to name some. This year the society’s production was Bengali Folk and was choreographed by Mrs. Rai Ghosh and Mr. Ram. 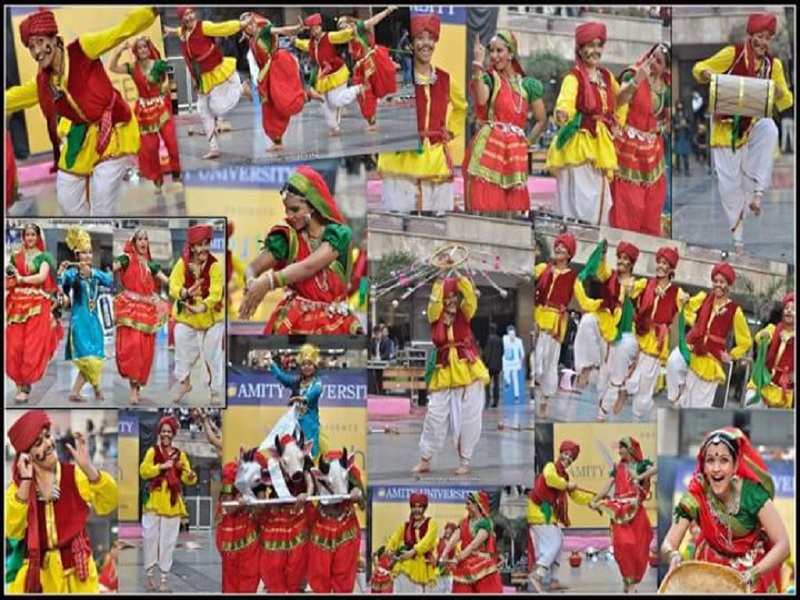 They run their own Dance School in Kolkatta and have more than 20 years of teaching experience. The production depicts the rich and cultural heritage of the state, Kolkatta. The dance is well known for its fervour and beauty and is performed by both men and women.